Despite beginning 2016 with a rough start, equity markets propelled upwards towards the end of the year. The Dow Jones Industrial Average was up 13.42%, the S&P 500 Index increased 9.54%, and the technology heavy Nasdaq Index gained 7.5% for the year. Because fiscal and regulatory changes expect to engulf the markets in 2017, the environment has evolved into a stock pickers market. The search for specific companies in specific sectors that may benefit from fiscal and regulatory changes is considered superior to just buying a passive index of broad stocks. 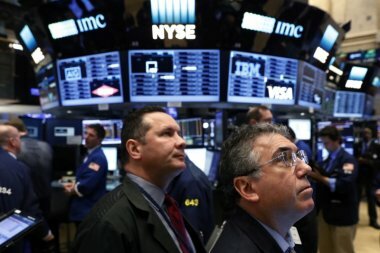 The potential for economic growth due to a combination of personal and corporate tax cuts, government spending, and less regulation could eventually boost earnings for stocks. With U.S. companies having reduced expenses and minimized debt exposure over the past few years, any increase in profitability margins have become difficult. This is why revenue growth will be essential for many U.S. companies in 2017 while contemplating a higher dollar, lower tax rates and fewer regulations. A validation that we are heading into a stock pickers market is the decrease in correlation that has occurred among stocks. When stocks are highly correlated it’s a sign that investors are all buying or selling the markets, but when correlation is low it’s a sign that investors are buying or selling specific stocks for specific reasons. Recent dynamics such as a higher dollar, rising rates, and possible import tariffs have created obstacles for certain companies. Deregulation, lower corporate tax rates, and infrastructure spending have created new opportunities for a host of other companies. The dynamics of sector rotation engulfed the equity markets in the final two months of trading in 2016. Healthcare, utilities and consumer sectors saw an exodus as financials, energy and industrials saw an inflow.